We’ve never known a British summer like it! Not since 1976 has Britain been bathed in such a lengthy heatwave and here’s hoping there’s lots more warm weather to come before the summer is out. We hope that you are fully embracing this weather outside your home; sitting in the back garden, firing up the barbecue every chance you get, as who knows when we’ll have another summer like it. If you haven’t been then you need an excuse to do it and the integration of any aïr solution, whether it is our aïr 800, the Rolls Royce of folding doors, or the aïr 500LS / 600LS will give you it. There’s virtually no limit to what you can do with aïr. Our designs can span amazingly lengthy distances if you have the wall space to accommodate them, but if there’s minimal wall space available it’s not a problem as you can trust us to craft a compact offering that fits in just as perfectly. 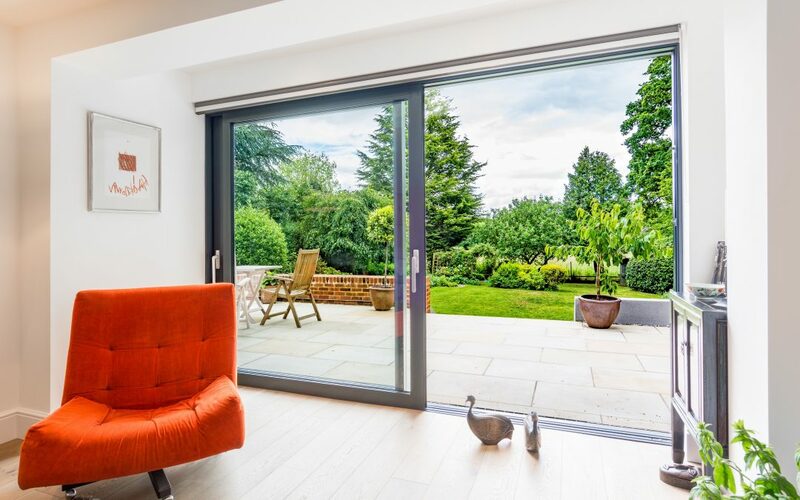 Large or small in size, aïr will make you feel completely at one with the outdoors as these remarkable bi-folding and lift & slide doors create the most stunning patio / garden openings. Opened wide or just partially, the outdoors will become an extension of your home, and thanks to the lightness of the aluminium frames, just a gentle push is enough to help aïr on its way along the tracking system. The magnificent sights, sounds and smells of the outdoors that come as a consequence of an aïr installation will have you rushing to get outside. With super-slim sightlines, allowing a much higher glass to frame ratio, unobstructed views are assured even when the weather stops you from manoeuvring aïr open. You will also find the winter months to be no less pleasurable than the summer months as aïr’s presence will be felt just as strongly. If this sounds like the kind of home lifestyle you’d love to experience during all future summers, get a quote from one of our Accredited Retailers today.